But volcanoes don’t just explode. The residents of Pompeii were witnessing the end of a long and gradual process that had begun days or even years earlier. During that time, magma from deep within the earth rose up within Vesuvius, releasing gasses that slowly increased the internal pressure of the mountain, building and building until, like an aerosol can in a bonfire, the rock walls gave way to an unstoppable wave of destruction and death. The destruction of Pompeii, in other words, was a long time coming. As much as Vesuvius appeared to have erupted on the spur of the moment, volcanoes don’t work that way. 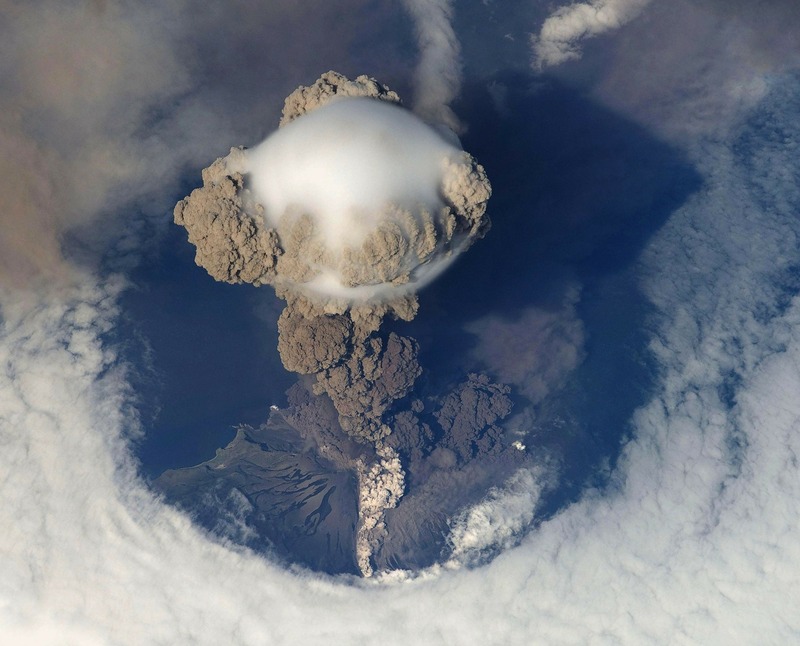 There’s a process required—a slow and deliberate chain of events—before an eruption is even a possibility. In an always-on, 24/7, free-two-day-shipping culture, time is the overlooked ingredient. Order a burger at the drive-thru and it’s ready for you by the time you reach the window. Order a book from the other side of the country and, for a nominal fee, you can have it airlifted to your front door by tomorrow, guaranteed. Upload your pictures to the store of your choice, and you can pick up the prints within the hour. That’s incredible. We’ve designed a world where we can get anything we like, as quick as we like—often by yesterday at the latest. But nothing is truly instant. Not really. That burger you ordered was made a while ago in a batch of dozens or even hundreds, just in case someone like you wanted one. That book you ordered was manufactured on costly equipment that took years to develop and design, and then it was shipped through a delivery system that has been evolving and improving for centuries. And you uploaded your pictures through the Internet, which is an increasingly complex jungle of technological wonders, each painstakingly designed to communicate with the next, ending with an industrial printer programmed to interpret the incomprehensible stream of zeros and ones you just fed it and spit out a corresponding picture. It feels instant, but it’s not. Every step in every one of those processes took years and years of research and development before it was ready for you to use on a whim. Like a volcano, this technological eruption we’re experiencing could never have happened without all the behind-the-scenes legwork that made it possible. In the parable of the ten virgins (Matthew 25:1-13), everyone fell asleep. That wasn’t what set the wise apart from the foolish—no, the real distinction between the two groups was their grasp of time. When the cry went out at midnight to go and meet the bridegroom, only five virgins had their lamps full of oil—that is, full of God’s Holy Spirit. The other five were running low. All ten had lamps. All ten understood that the lamps required oil to function properly. All ten knew these lamps were necessary and important, but—and here’s the key distinction—only five had taken the time to actually fill them. The other five attempted to squeak by with what little they had, only to discover at the critical moment that what they had wasn’t enough (Matthew 25:8). “Assuredly, I say to you, I do not know you” (Matthew 25:11-12, emphasis added). Some things require time. The degree to which we want or need them in a particular moment is completely irrelevant. These things do not come with “buy it now” or “one day shipping” options. They can only be attained through weeks, years, or even decades of effort and unceasing commitment. The Holy Spirit is one of those things. We receive it as a gift at baptism—and all ten virgins had at least some oil in their lamps—but what happens afterward depends on us. We don’t just naturally interface with the limitless power of God, “the carnal mind is enmity against God” (Romans 8:7). Tapping into the mind of God requires a lifetime of effort on our part—a lifetime of praying, of studying, of fasting, of meditating, and of spending time with our brethren. There are no shortcuts to any of these steps, which is why the five foolish virgins ran into trouble. When the bridegroom returned, the foolish virgins were hoping to acquire in a single moment something that had taken the wise virgins years to cultivate. God’s Holy Spirit doesn’t work that way. You can’t just borrow it from someone else when you need it. When the bridegroom returns—when Jesus Christ descends from the heavens and gathers His brethren—your lamp will either be full or it won’t. In that moment, there will be no shortcuts, no easy fixes, no “buy it now” button. Either you put in the work or you didn’t. Either you nurtured your connection with God’s Spirit or you let it dwindle. Either you’re on the right side of the door or you’re not. Volcanoes don’t just explode. Twenty-year-old trees don’t just appear. And your lamp won’t just “get full.” The bridegroom is coming, and a strong connection with the Holy Spirit of God is not a last-minute acquisition. I’d love to say it’s never too late to start, but that’s simply not true. That’s the whole point. One day, it will be too late. The best time to begin filling your lamp was twenty years ago. 12 Responses to "The Second Best Time to Plant a Tree"
Totally agree mom. We give our Great and Awesome thanks for HIS gift of Jeremy to us. Jeremy, it has been some time since I’ve read any of your Sabbath Thoughts posts. I’m pleased, but not surprised to see you continuing to use your gift. Thank you for a well written post, on a subject that all of us who call ourselves Christians can’t afford to discard. As always…..well done! Thank you. I too appreciate reading your thoughts that are often very insightful and good reminders. However, I have to disagree with you slightly here. I’m not sure it has as much to do with amount of time as it does the effort (or lack thereof as the 5 who were unprepared were asleep). It’s not so much the amount of time we’re given, but rather HOW we are using and redeeming that time. Not all who are called will be given the years that you mentioned to cultivate that relationship. Like in the parable of the laborers in the vineyard, some will be converted and turn their hearts to God in the last day. Will they be turned away because they didn’t have the time to cultivate the same relationship others had time to? The bridegroom turns away the 5 foolish virgins because they didn’t redeem the time properly. While they may have thought they were, they were not truly seeking after God. Perhaps they were following traditions and men rather than allowing the Holy Spirit to fill them and guide them into right understanding. It’s important to look at what is said: “I do not know you.” He says that not as a slap in the face because they wasted time and didn’t develop a deep enough relationship with Him. Rather, he says it because they didn’t know Him! They were not seeking Him, and therefore did not know Him. So again, it’s not ya matter of how much time were given or how much time we have to cultivate that oil, but rather how the time is spent. Are we truly seeking God in humility and obedience? Are we asking Him on a daily basis to give us more understanding and lead us in His path? Are we reading our Bibles with God leading our understanding instead of man? If not, then we run the risk of not truely knowing Him, even if we think we do. And in the end, we we don’t know Him, He won’t know us either. We love your articles and I read them to the family on the way to church each week! Thank you for finding, using and sharing your God given talent with us all! no oil is the problem. Why not enough? they ran out of time to get oil, so time became the problem. How to get oil is what we should work on. Not trying to get oil from others is obvious. what interferes? Jesus said don be deceived, don’t be lead astray, carried about by things that don’t produce fruit, love. Listen for the Savior flee all others. as it’s be said above redeem the time. Another wow! Things we’ve read many a time, but somehow you put it together in a way that really grabs our attention, giving a much need take away. Thank you!! Thank you for this article. Reading Sabbath thoughts is always a highlight to the Sabbath morning along with my other studies before we head out to church services.This one was specifically encouraging and correcting as we have so little time to be ready. Again, thank you so much, for using your God given talents so wisely! Very good post. This has stirred me to compare and contrast the parable of the virgins with the parable of the vineyard workers. Lots to ponder and study. Do you think that the parable of the vineyard workers is dealing with laboring for God and His work prior to Christ return(which factors in to us being CHOSEN, and not just CALLED) and the parable of the virgins involves being chosen for being part of the bride contingent at Christ’s return? Is there a subtle distinction between these two parables that I am missing? I’m digging in to both today in search of any deeper meaning that I may be missing or overlooking. Thanks so much for the article and for the above comment from Liv that has made me rethink and study more on this. Really really good and scary. Well that’s what motivates us is it not! This parable always has a special place for me since it brought me to Church.